In the second century A.D. Greek geographer Claudius Ptolemeus explicitly mentions a town Calisia in his "Geography Outline," and this town is identified with today’s Kalisz, which is believed to be the oldest town in Poland. In the ancient times there was an amber route through Kalisz which connected the Roman Empire with the Baltic coast. And already then it was a trade settlement where the Roman merchants stayed on their way to the north looking for the Baltic amber. The traces of living in a place of today’s Kalisz are even older than the specification of Ptolemeus. They reach 8000 B.C. and—confirmed by archeological researches—keep the continuity till our times. During the history the town has been worried by many pests, floods, fires, and turmoils of war. But it always revived, keeping its range and gaining in value. 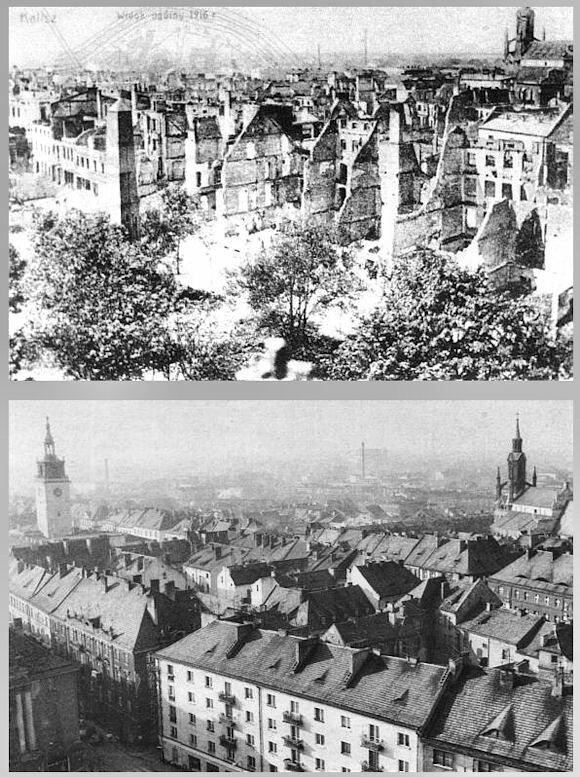 In August 1914 the Prussian Army shot at, bombarded, and then set fire to Kalisz for unknown reasons. 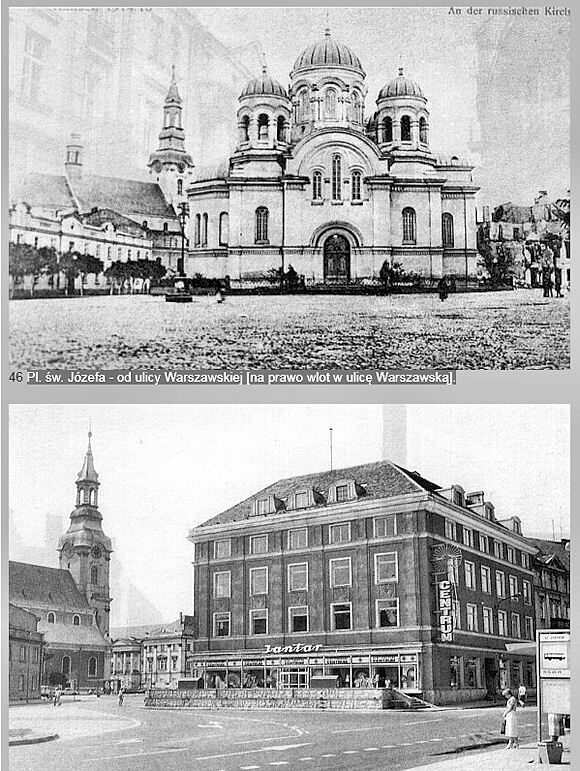 As a result of this tragedy nearly the entire historical city center lay in ruins. The population that did not manage (or refused) to flee, was decimated, so that out of the almost 70,000 people at the end of the August 1914, a little over 5,000 were left in the city. 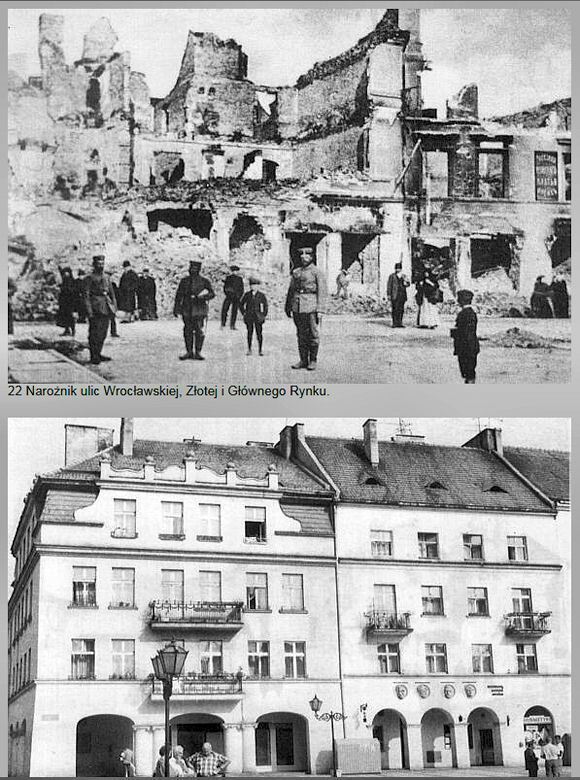 Among the civilian population of Kalisz there were at least 250 casualties. When it comes to the material aspect, nearly 450 buildings were damaged in the city, and the total losses—reported during the war—were estimated to be over 33 million rubles. "for unknown reasons" - do we actually know something about this?